Acclaimed as the pioneer of electronic music, GARY NUMAN became a household name in the late 70s and early 80s. His latest body of work comes with real meaning and significance, crafted around unarguably one of the most topical issues at the moment. Humble, unapologetic, the creative visionary Gary Numan is at the height of this career. AC: You’ve talked about the concept of the album centering around a post-apocalyptic, post-global warming world. When did you first start to really think about global warming? GARY: Many, many years ago, although I can’t remember exactly when it first hit home. The album is taken from a book that I’ve been working on for many years. An embarrassing amount of time to be honest as it’s still nowhere near finished. But, to be perfectly honest, that book has only recently taken on the idea of global warming as a reason for the world in the story being the way it is. I started the album in late 2015 and the idea for making the story, both the book and the album, revolve around a global warming catastrophe started about then. It was encouraged massively by the arrival of Donald Trump into the political landscape, his views on climate change and his decision to pull the US out of the Paris Accord in particular I am a great believer in climate change and the threat it poses for the future of the world and so his ignorance is especially worrying. In recent years the reality of climate change has become increasingly worrying and so I saw the success of the Paris agreement as an incredible moment, when almost the entire world agreed and was willing to do something noble. Then Trump arrived. It made writing the album a far more meaningful experience for me than I think it would have been otherwise. Would you say that the themes of the album are even more relevant in the current international political climate? I would never claim that the album is an accurate prediction of how things might be. I’m not intelligent enough to even begin to know how things might turn out if we fail to stop the planet’s temperature rising. Savage is probably laughable to anyone that really understands the problem. But, in its own small way, it does raise the issue and makes it a talking point for a few people here and there, and that can only be a good thing. Given the current political situation I would say the themes of the album are extremely relevant. Are your feelings towards religion changing in any way? Is it a topic that enters your mind regularly? My feelings about religion are not changing at all. I dislike religion intensely. Religion is at the root of so much suffering, so much hatred. I have no belief in God, any God, and I’m glad of that. To look around at the world, and at the history of the world and to believe that a God created all that, and allows it to continue? Who wouldn’t be truly terrified of a God that did that? No, it’s all nonsense, but it does a huge amount of damage on a global scale. What is your favourite track on the album and why? ‘Ghost Nation’. The song looks at a group of people that are so horrified by what they witness mankind becoming after the Earth is devastated by global warming, especially once the dark cloud of religion reappears, that they hide themselves deep within the most ferociously inhospitable part of the world. They find ways of adapting and surviving in a place that no-one else will even dare go near. They become the dead Ghost Nation. I just love the idea of that, it’s got a cool groove as well and one of the best chorus lines I think I’ve ever written. Are there some other narratives that you are considering exploring in future bodies of work? The next big task for me is to finish the book. If I can get that done within the next year or two, once this next batch of touring is over, I will at least know if I can write or not. If the answer is yes, then I definitely have other ideas that I’d like to explore in that way. If I’m rubbish, which is very possible unfortunately, I’ll just keep making albums and speaking that way. 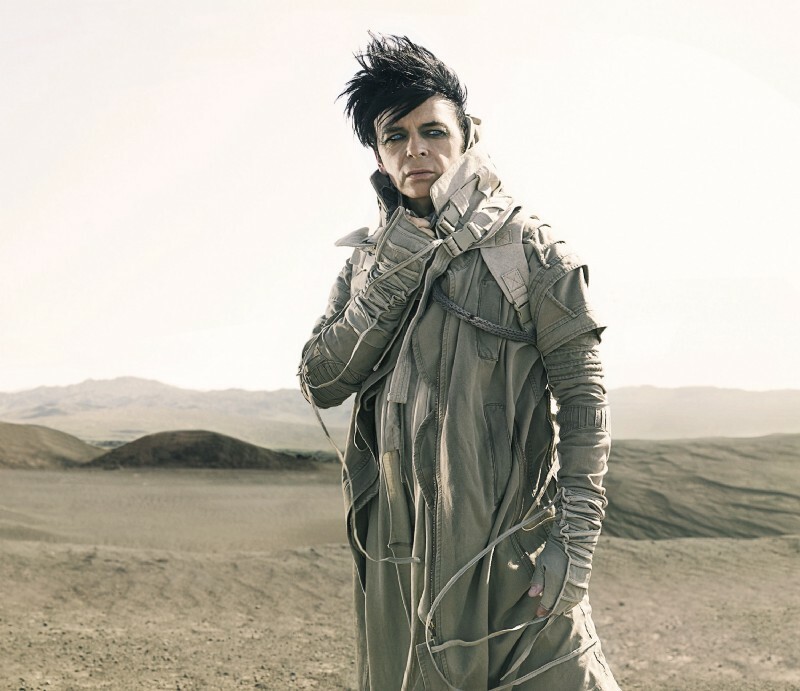 Gary Numan’s new album ‘Savage’ is available now.